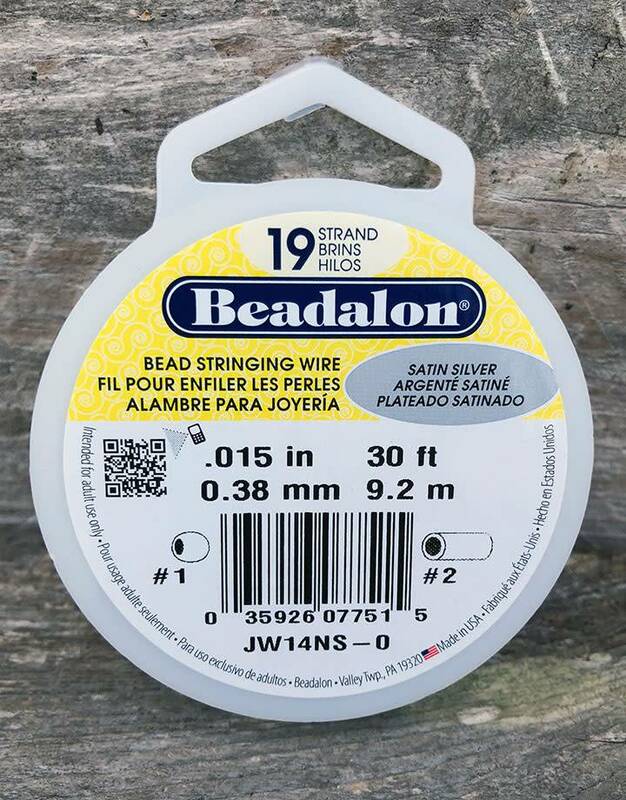 With new Beadalon 19 Strand Satin Silver Color, you can add the look of silver to your designs without the cost of precious metal. Incorporate this metallic nylon coated and modern-looking wire to your jewelry. 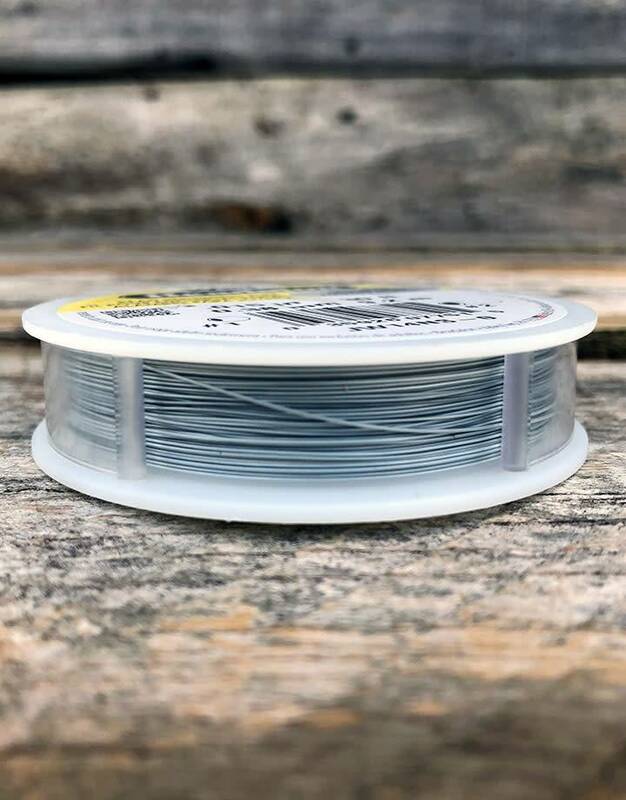 The special coating on Satin Silver Color is silky-soft, so your designs will puddle in your hand more naturally and feel as if they were made on a single strand of silk. The wire beneath the coating is made of stainless steel for the strength and durability you have come to expect of all Beadalon wires. Use Satin Silver Color wire for stringing crystal, gemstone and glass beads for long-lasting results. For maximum shine and beauty, consider using Beadalon using 19 Strand Silver Plated wire. Breaking strength = 12 lb. Spool size = 30 ft.